Are you training for a triathlon? Then you need to dicover the best fitness watch for triathletes that will work effortlessly with you to help you achieve your goal. Fortunately the aptly named Garmin Forerunner 920XT offers everything you need; whether you’re a professional, training for the fun of it or looking to do your first local event. The key to choosing the best watch is being able to trust that it is reliable when recording 4 different activities. You’re not just looking to beat your running, swimming or cycling time; you need to know the overall stats as well. Even if you’re a senior and already have a fitness watch you’ll find these watches have some features well worth considering. The Garmin Forerunner 920XT is extremely accurate; I know because I’ve tried it and compared it to a host of other watches. This is the one to use. Of course, if your budget is a little less there is a couple of other excellent options on this list. 4 Polar V800 – A close Second! Any data that this watch produces can be dispatched straight to your smart phone through an app. They can also be text to you or even emailed. You’ll definitely be able to access the right information when you need it. Alongside the basic data Garmin give you an array of graphs that help you to understand the data and your progress. In other words you can tell if you’re improving at one quick glance. But this is only that start of its connectivity. As a premium fitness watch it connects with a host of different apps. One of the most fun is the Garmin Face app. This will allow you to adjust the image on the watch face to anything you want. There are hundreds of apps to choose from to help you improve your fitness via this watch; it almost does it for you! Each of the apps is very easy to use; helping you to focus on your exercise and not whether the watch is recording the most important information. Of course the most important feature of any multiple activity tracker is that it is accurate. I’ve compared this watch to several others and am impressed with how well it records the distance you’ve travelled while tracking your GPS position. In general the GPS tracking has been excellent; even on a 10k run section it managed to log the entire route and came extremely close to the certified distance. 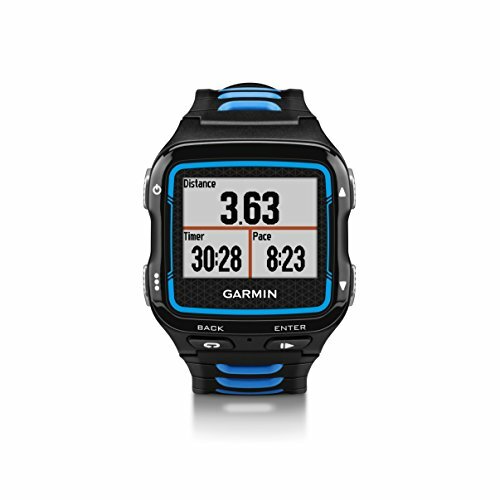 No GPS watch is perfect but the Garmin Forerunner 920XT is pretty close. Measuring the amount of oxygen your body can utilize is a useful way to see how close to your lax performance you are. It is also something that is not generally easy to be accurate about. In fact many fitness watches don’t offer this feature. But the 920XT can be used in conjunction with a power meter for the cycling stage of your training and will work well with the built in heart rate monitor. It may estimate your VO2 but it is surprisingly accurate. Definitely a plus to improve your training and overall fitness. When you’re completing several different activities in one race you need to know that the watch can track everything accurately with the minimal of input by you. The 920XT does just this. The fact that it is waterproof to 50m illustrates that it is designed with the tri-athlete in mind. It can monitor the number of strokes you take and your speed while swimming. It will also track your running and cycling speed while even recording the amount of time each foot spends on the ground as you run. Alongside this there is your stride length and even the cadence of your stride. All this information can be accessed on your watch or transferred to another device; allowing you to analyze it thoroughly and see where you can improve. This is a very comfortable watch but it should be noted it is quite a large watch. You may consider this too bulky to wear while exercising. I didn’t see this as an issue; within minutes of wearing it I had forgotten it was there! But, for some this could be an issue and it is worth noting. Unsurprisingly this is not the cheapest watch on the market. This shouldn’t really be a disadvantage as this watch is aimed at athletes who are looking to take it up a level. But, you could purchase it as a beginner; you just need to be aware it is one of the highest priced ones currently on the market. Polar V800 – A close Second! The V800 has never been the prettiest watch, (although it certainly isn’t ugly). However, it is extremely rugged. Whether swimming, cycling or running you won’t have a problem getting the right information from this fitness tracker! The watch has stylish silver buttons, a stainless steel body and a rubber strap. If you drop it you’re unlikely to break it. Alongside this the battery should give you 13 hours of training and a whopping 50 hours in the low power mode. Then you can recharge it. 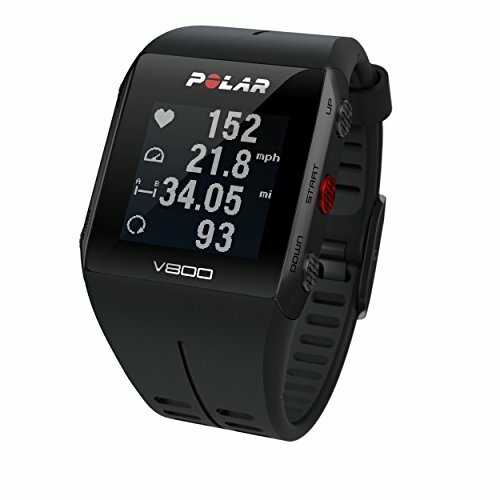 A great feature on the V800 is the ability to create your own program or have the watch do it for you. It will select a route based on the distance you are looking to complete and will then ensure it is personalized by taking your personal preferences into account. In the process this should help you to achieve more and challenge yourself while running, cycling or even swimming. However, it should be noted that you need to set this up in the app on your smart phone or computer. You cannot set it up on the watch although you can access it there. The training plan will work you through all the steps you need to go from novice to accomplished tri-athlete; all you have to do is stick to the schedule! The app that comes with the V800 is excellent. You can record an array of features and then access them to see how you have done. In fact there is so much information you may prefer to view it on your computer, it can feel overwhelming even on a smart phone. All the data it records can be accessed allowing you to look at the underlying issues with your performance and identify where you can improve. The downside is that you need to send the information to you smart phone or computer in order to really appreciate the detail. This watch has the style of one that was brought to the market several years ago. You cannot consider it as sleek or stylish as the 920XT or many of the newer products. It is likely that you’ll find it bulky to wear all day. It is disappointing to see that there is no heart rate monitor on the watch. You can attach a chest strap and link it to the watch but this is not as convenient when you’re exercising. It would be nice to see this feature added to really improve this offering. The principle behind using this watch was to make it as simple as possible. Tom Tom have introduced a stylish and surprisingly functional one button system. The effect is the same as having a ‘D’ pad. It allows you to scroll through all the menus; going left or right and then selecting. This makes it simple to get the hang off and easy to use while exercising. You shouldn’t be surprised to learn that the Multi Sport can track your distance, calories burned, speed and heart rate. 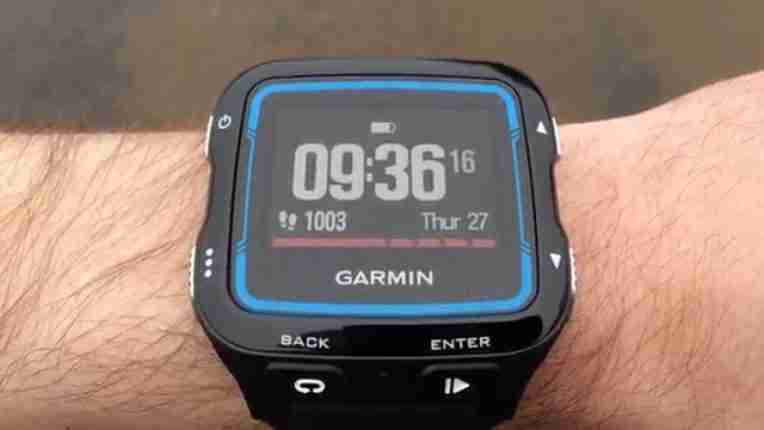 These are basics for any fitness watch but certainly help to qualify as one of the best fitness watch for triathletes. But this watch goes a step further; you can monitor your elevation, locations and even add it to your bike via a supplied bike mount; if you wish. This will make it easier to track your ride without taking your hands off the bike! The information can be displayed on the watch or in the associated app; which will allow you to drill into the detail of your triathlon. There are a range of accessories that can be added to the watch via Bluetooth. This makes it surprisingly versatile. Of course, you’ll have to pay extra for these accessories. While the Bluetooth function is very useful it is more limiting than the ANTS technology that so many of Tom Tom’s competitor’s use. This is particularly an issue if you already have extras based on ANTS; they won’t connect to this watch. If you’re looking to keep track of your speed while cycling you’ll need a Bluetooth cadence meter. It is also worth noting that to accurately calculate your swim distance the device needs to know your pool length. This isn’t very helpful if you’re open water swimming. The memory on this watch is very small. You’ll have to remember to synch it regularly or be prepared to either lose data or not record a training session! All 3 of these watches are great options; depending on the level you’re at and the budget you have available. 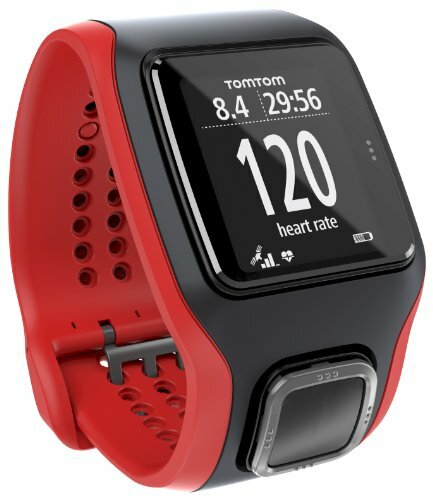 However, the Forerunner 920XT is the clear winner of the best fitness watch for triathletes simply because it has the best all-round package in terms of looks and features. It may be one of the more expensive watches but in this case you really do get what you pay for; this is one watch you will be glad you invested in; I certainly am!